First of all I would like to say welcome to VeggieTown. This is my first post written here while the rest of the archive has been transferred from my old blog. In time I will try to adjust my old posts to fit better in here but at the present I hope you will overlook this. 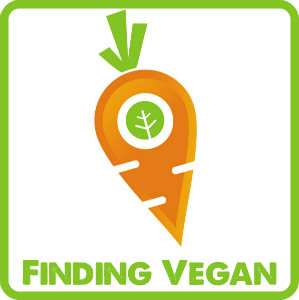 I hope you will like VeggieTown as much as I do. 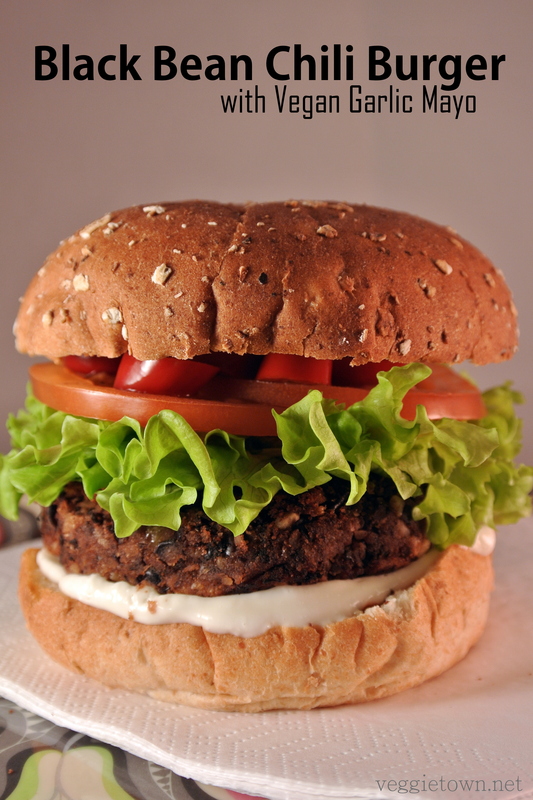 One of my biggest challenges in vegetarian cooking has been to make great tasting burgers with good texture. It has taken a while but I have created a few recipes for burgers that are both tasty and with nice texture. One of them is this Black Bean Chili Burger. The actual burger has Tabasco sauce in it and I like to eat it together with hot chili sauce, pickled jalapeños and vegan garlic mayonnaise. Both the burger and the garlic mayo are vegan. 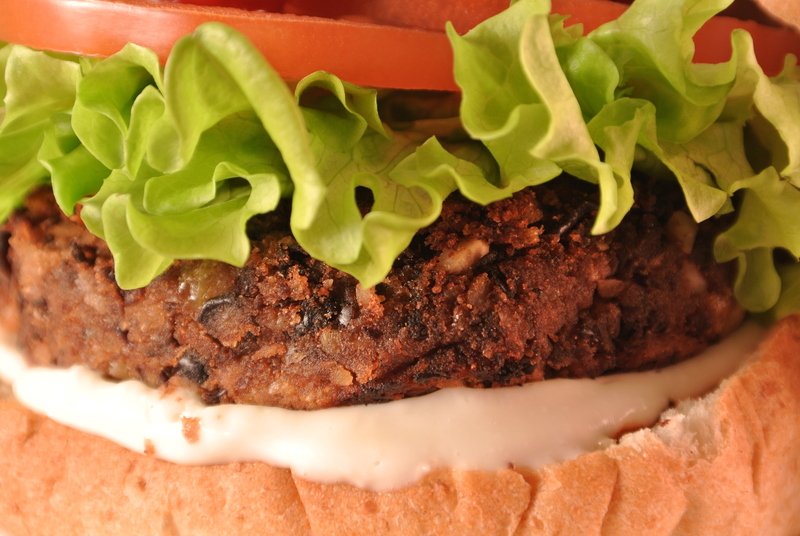 The burger is made from roasted black bean and cashew nuts which prevents it from having the mushy texture of many veggie burgers. Black Bean Chili Burger is incredible rich in flavour and in my opinion the perfect burger for any occasion. 1. Heat the oven to 200°C / 390°F. Rinse the black bean and let them drain in a colander. Spread them out on a baking tray covered in oven paper and roast them in the oven for 10-15 minutes or until they are crisp on the surface. Be careful not to burn them. 2. In the meantime you prepare the mayonnaise. Place all ingredients for the mayo in a deep jug. Mix with a hand blender until you get desirable thickness. 3. Put the black bean and the cashews in a food processor and mix quickly. Leave the mixture roughly chopped. 4. Chop the onion and garlic in fine pieces. Fry the onion on high heat until it receives a nice colour and then lower the heat. Add garlic and spices, fry quickly and add all of it to the food processor together with the 2 tbsp of garlic mayo, salt, Tabasco, lime juice and water. Mix until everything is blended but leave it roughly chopped. 5. Put the batter in a bowl and add the breadcrumbs a little at a time using your hands to achieve a workable texture. Shape burgers and fry them on medium heat for a few minutes on each side. 6. 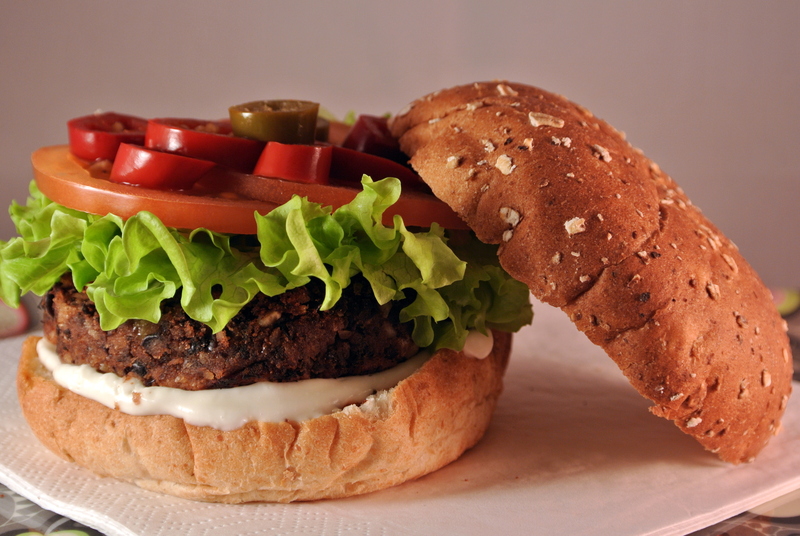 Serve your burgers together with the vegan garlic mayo and desired toppings.